Although the X-Men franchise never hit the billion-dollar mark despite several attempts unlike Alice Through the Looking Glass’s predecessor, it appears the comic book mutant super heroes will take the Memorial Day weekend box office with a sizable victory. In the battle of sequels, Disney pitted their highest-grossing non-Marvel, non–Lucasfilm property against 20th Century Fox’s Marvel property and lost. The follow-up to Alice in Wonderland abandons the source material from author Lewis Carroll and slowly amounts to a predictable ending with plenty of dazzling 3D CGI to keep the viewer interested. While the film interestingly explores Alice transcending the societal role of women in Victorian London, the message falls by the wayside in favor of the half-baked time-travelling plot. The newest live-action Disney film arrives as perhaps the first flop of summer, however fun it may be for its target audience. While many critics have ripped Alice’s newest adventure apart for a number of reasons, how many really are surprised that Disney producers weren’t concerned about story over profit? Alice Through the Looking Glass, despite its confusing time-travel motif, presents a smart, strong, and resilient ship captain/ businesswoman protagonist living in turn-of-the-century London. Mia Wasikowska (Crimson Peak, Madame Bovary) returns to star as Alice Kingsleigh in another unwavering performance as the character. After defeating the Jabberwocky and avoiding an arranged marriage in Alice in Wonderland, Alice continues her journey as one of the strongest female role models in recent blockbuster memory. When kept down by a room full of stuffy, old men (each with facial hair rivaling that of General Burnside) who want to see her enterprise fail, Alice then has a chance encounter from Absalom (voiced by the late Alan Rickman) that leads her through the looking glass and into Wonderland again. International superstar Johnny Depp reprises his role of the Mad Hatter and serves as the basis of the plot, however hilariously bizarre it may sound. Losing his “much-ness” at the probability of his family’s death, the Mad Hatter secludes himself in the midst of serious depression. He charges Alice with finding his family and returning them to him, despite the notion that they probably perished during a Jabberwocky attack long ago. The world-famous actor continues his erratic whimsy as the Hatter with a lisping, Scottish brogue because it just wouldn’t be a Johnny Depp role if the character didn’t seem like equal parts bohemian street performer and bipolar arsonist. The actor already had a rough week, and we’ll just end that criticism here. In order to restore the Hatter and find his family, the returning assortment of Wonderland friends direct Alice to Time, who in Wonderland takes half-human, half-clock form in the shape of English actor Sacha Baron Cohen (Hugo, The Dictator). Alice needs a device belonging to the tick-tocking character if she wants to succeed in her mission from the Hatter. Time, despite an unholy alliance with the Red Queen, may not be the antagonist Alice first expected. Similar to Depp’s Hatter, Cohen pronounces a humorous accent, possibly Bavarian (because it definitely isn’t just German) instead of Scottish. Cohen, following Depp’s lead, simply has fun with the role because what other choice does an actor have when most of their scenes get shot on green screen? At least Wasikowska got to shoot in some real locations as opposed to her Wonderland costars. Most of the 2010 Alice in Wonderland cast returns, as well, in one capacity or another. Helena Bonham Carter (the Harry Potter franchise, Cinderella) picks up with villain duties again in her second turn as the angry, jealous Red Queen, still demanding her younger sister’s throne. Academy Award-winner Anne Hathaway (Interstellar, The Intern) also reestablishes her role as the White Queen of Wonderland and younger sister to the Red Queen. The ruling, regal sisters have their history explored at length in conjunction with the Hatter’s as Alice explores the Ocean of Time Travel. Perhaps the Red Queen had more reason for her unpleasant demeanor than the audience initially knew. Matt Lucas (Bridesmaids, Paddington) comes back to rhyme and argue with himself as both Tweedledum and Tweedledee. Renowned British thespians Alan Rickman, Timothy Spall, Stephen Fry, Barbara Windsor, Paul Whitehouse, and Michael Sheen each lend their voices yet again to their respective Wonderland animal characters. Linda Woolverton (writer of Maleficent, The Lion King), the only woman to pen a film grossing one billion-plus dollars with Alice in Wonderland, continues her theme of a strong female protagonist at a time when men dominated every aspect of society. She leaves the most interesting angle of the film in one more returning character—Leo Bill’s (“Taboo,” Mr. Turner) Hamish. Viewers recall Hamish as the despicable heir to a fortune who proposed marriage to Alice during the opening scenes of 2010’s Alice in Wonderland. Alice obviously turned him down, but in Alice Through the Looking Glass, Hamish returns to exact petty revenge against her for refusing his proposal. He arranges the stuffy, old men to force Alice’s hand; and later in the film, has Alice institutionalized in a Bedlam-type asylum in London. Any reader who took a British history course knows what horrors awaited the poor souls trapped in Bedlam. While the asylum sequence pulls viewers out of the Wonderland story, it really amounts to the most interesting point in the film. Alice repeatedly finds herself the victim of Hamish’s sense of entitlement and subsequent misogyny. In fact, Woolverton’s script certainly points out just how much of polar opposites the characters of Alice and Hamish are to each other. She begins as a poor female with ambition who works hard and sails the globe, as he is content to stay in London living off of his inheritance and enjoying things the way they are, able to send someone away to the mental hospital if he isn’t content. Hamish constantly focuses on his own vengeance where Alice doesn’t even think of him because she’s off helping others who need her. Unfortunately, the dichotomy of these two gets lost in the overall time-travel expedition. 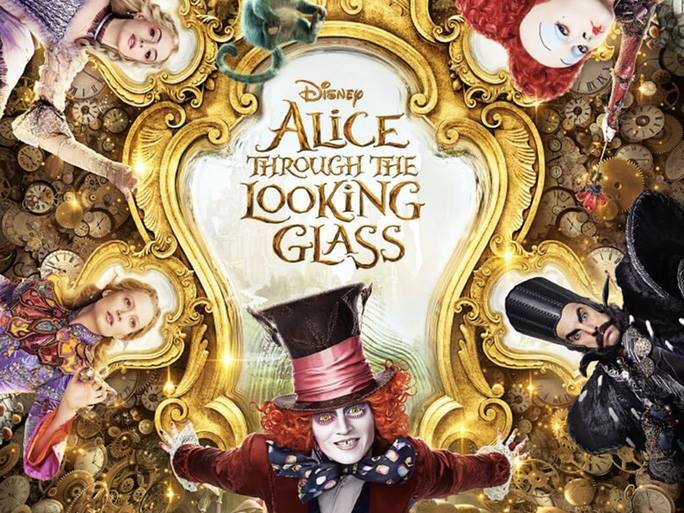 While this film desperately needed director Tim Burton back behind the camera if Disney wanted to approach another billion-dollar box office success, director James Bobin (The Muppets) adds more 3D spectacle and gender study to his Wonderland film than his predecessor demonstrated. 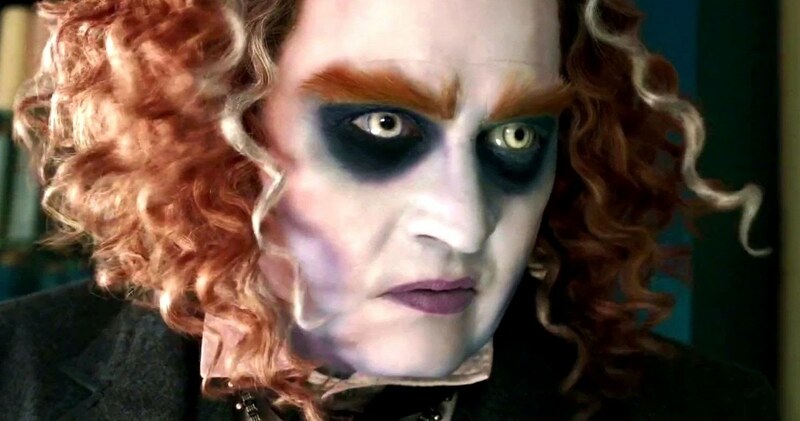 Although the time-travel theme gets drawn out, convoluted, and plain boring at times, Alice Through the Looking Glass manages more than a few chuckles from its collection of quirky characters and offers a shining example to children viewers as to how people should live every day through the example of Alice. A third entry looks unlikely as the box office and critics typically make that determination, and both certainly favor the X-Men this weekend by a wide margin. Still, it was good to hear Alan Rickman’s voice on film one final time.